I want to give a big thank you and shout out to Aaron Hatchell (@aaron_hatchell) for this Wednesday’s feature. 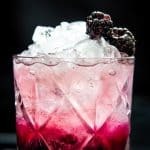 I’ve been itching to get started with this recipe and I can’t want to share my interpretation of this inspired cocktail. 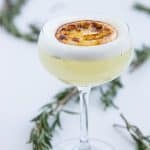 This cocktail was featured as part of a ‘healthy’-ish attempt at a clean January sip, and it’s exactly the kind of thing I would want to whip up myself. So sit back, relax and get excited for the Hatchell & Kale. So I’ve been following Aaron for some time now, and what first got me attracted to his page was that he was a local-ish bartender. I can’t exactly say local because his place of work is somewhere that I haven’t been too yet and I’ve been dying to check out myself. Langdon Hall has gained a ton of recognition and respect from foodies all over Ontario and Canada for their renowned cuisine, which is always impressive when it’s outside of the city. We can be somewhat naive in Toronto, thinking that you can only find top dining experiences in our beautiful city. Well, Langdon Hall is that constant reminder that great food can exist outside of the city. Can you tell the foodie in me really wants to go? Needless to say, Aaron is the lead bartender at the Wilk’s Bar and we have still never met. Funny enough, through an educational event, I met his roommate and so I already feel that much closer and connected to him. I’m really hoping that after this feature we will get to meet and talk shop when it comes to Cocktails! I’m curious as to why Aaron may have chosen this cocktail to tag me in, but it wouldn’t surprise me because it’s adventurous and full of TEQUILA! 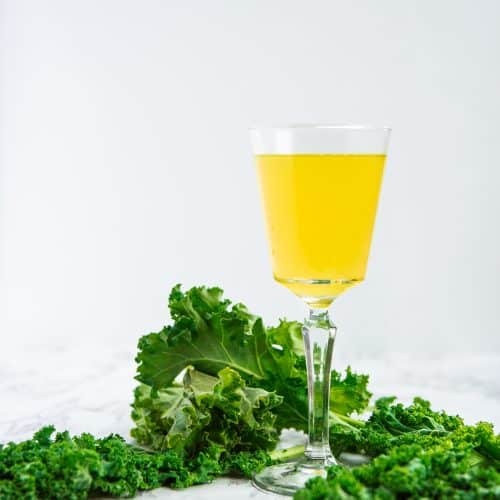 The combination of Kale and Turmeric with Tequila got me so excited that I had to jump on this cocktail. Typically I’ll ask how the creator made his/her cocktail, but I was excited to attempt it myself and show my interpretations. 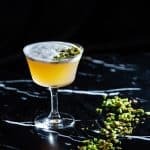 Aaron had initially infused kale in a Ginger liqueur, but I decided to switch things around and infuse the tequila to highlight its vegetal and grassy notes. I also broke a bit of a boundary for me and mixed BOTH a blanco and reposado tequila. So why did I do that? 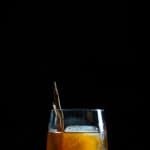 Although the blanco would have been perfect on its own, I felt the spirit needed some weight and age to it to combat the ginger and turmeric that’s infused for the drink. If you’re going to do this yourself and don’t want to use my recommended brand of Tromba, just make sure when choosing a blanco and reposado that it’s from the same company. The underlining tones and profile of the spirit should be similar and not combating each other with other brands and their particular style, which in the case of tequila, everyone has a unique identity. Now if you’re new to turmeric, there’s a few things you should know. It will stain EVERYTHING if you are not careful. I was lucky enough to have a few fresh turmeric in the house so I didn’t have to use the powder. A little goes a long way, so I simply removed the skin and roughly chopped it into small pieces so that it can infuse in the syrup, before I blended it up. It pairs so well with this cocktail because it ties in with the Ginger Liqueur that is used here, which I picked up Giffard’s Ginger of the Indies brand. 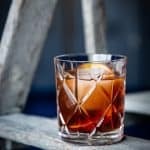 You also have the brilliant and local brand Bittered Sling’s Western Haskap Bitters that bring this whole cocktail together. Aaron, I hope you love this variation as much as I did. You really stepped out of the box with this one and I just want to thank you for sharing. Cheers to Aaron and to those who constantly inspire me! A healthy-ish sip for January that combines Kale Stems, cucumbers, turmeric, fresh lemon and tequila, all in one delicious glass. In a shaker, muddle 2 Cucumber Wheels and add the rest of the ingredients. Fill shaker with ice and shake vigorously. Double Strain into chilled Coupe or Nick and Nora glass.